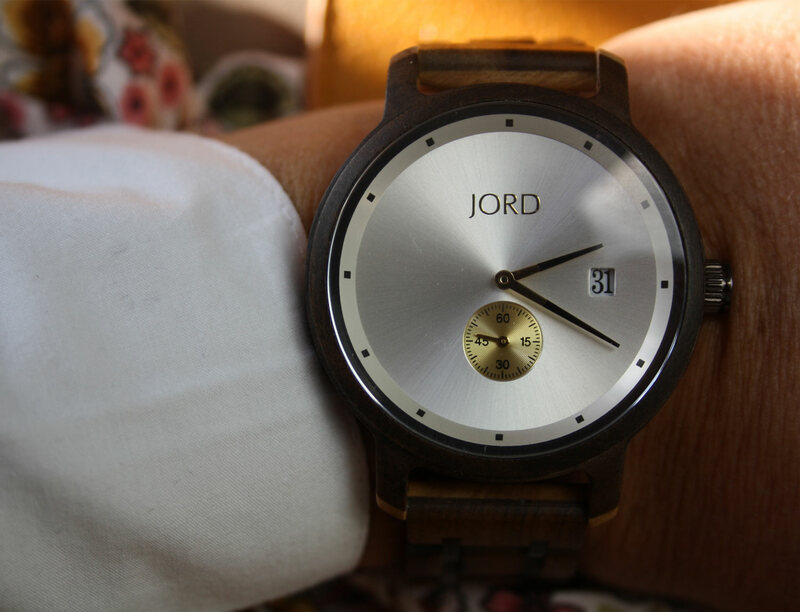 If you fancy the chance to win a $100 voucher towards a Jord wooden watch, you can enter by filling in your details on the Jord watches competition link. Not only will your entry automatically qualify you for a 10% discount code, but the other good news- it’s open worldwide. Once the winner has been selected, they will receive their $100 discount code to use on the Jord website. The giveaway will close 18/02/2018 at 11:59 pm. Both the $100 and the 10% off codes will expire on 04/03/2018. In an era driven by technology, it’s not all that easy to find the other half a perfect gift for Valentine’s Day. Or for our anniversary which, for us, is just a few days after this much celebrated day of love and romance. Existing in a society when too many people have abandoned the use of watches because it’s easier to use a mobile phone. Luckily for me, Calamity is a running enthusiast, breaking his little squares of sweaty plastic sports contraptions on a yearly basis. Gifting made easy. Lazy at times? Yes, a little. Just another sports watch with a limited lifespan. Year after year. This year I’d like to give him something a little bit different. I am not buying another running watch (EVER). Whenever he buys himself something, it is guaranteed to be running related. How many running vests must one man have? I cannot remember when last he has bought something nice (THAT IS NOT A RUNNING ITEM). I’d like to think that I have enough imagination to break away from this obsessive ritual that has been imposed on me. An engraved watch perhaps? Still a watch, I know, but something more timeless and less disposable than the recreational technological gadgets with their limited lifespan. 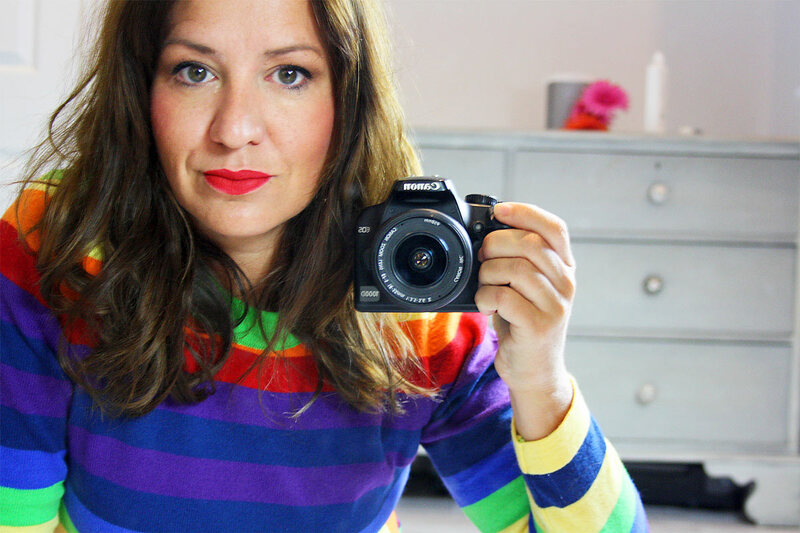 Whilst mulling the possibilities over, I came across a brand called JORD. Wooden watches. Beautifully crafted timepieces. A marriage of modern mechanics and products of the earth. An elegant synergy of components that, perhaps should not come together as well as they should, but they do. 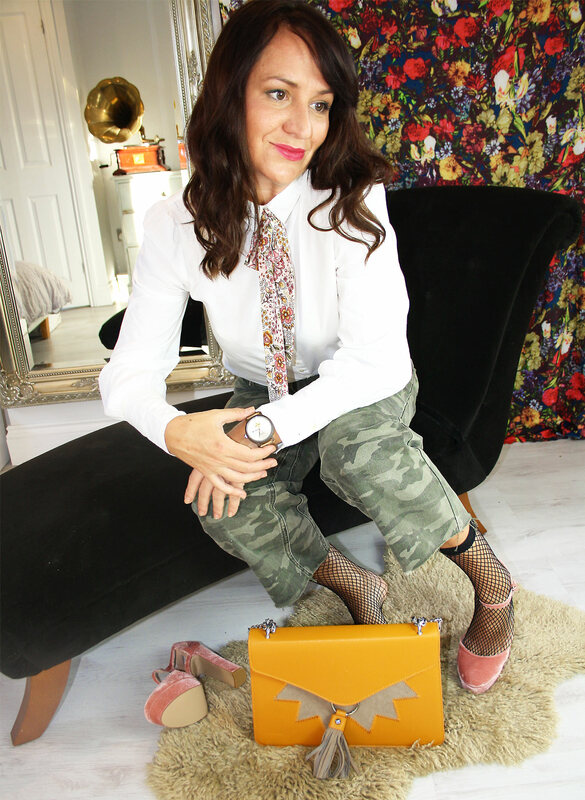 Resulting in ultra-cool watches that are stylish, modern and edgy in their design. Choosing just one of these unique men’s watches was not the easiest part, I loved so many of them. I might (possibly) have been a tiny bit distracted by the beautiful range of women’s watches, calling my name, begging for a spot on my wrist. “Go on, order yourself one too” they whispered. In the end (and yes, it took a while), I chose a Stacked Sandalwood watch from the Hyde series for its simple elegance. And quite possibly there was a little voice in my head saying: “it’s pretty gender neutral, you can nick it when he’s wearing the plastic sports gadget”. And finally, to convince me that this was indeed the unique Valentine’s Day gift I had been searching for, I spotted that they offer a watch customising option. You can get your watch engraved with a special message with the click of a button. Gift buying perfection. I’m thinking “Calamity’s good wood”. I’m all about the romance. My message (of love and devotion) sparked a fleeting concern about the care of a wooden watch. It has to be pretty simple for the man nicknamed Calamity, purveyor of disaster, breaker of things fiddly. Breaker of things not so fiddly. Destroyer of impressive proportions. Can he handle it? But it seems with very simple care and maintenance he can ensure the longevity and handsomeness of his wooden watch. I think he can do it. It’s straightforward enough. Or else I’ll be replacing it just like the running watches each year. Pleased as punch with my purchase, I wasn’t expecting the substantial parcel when it arrived. 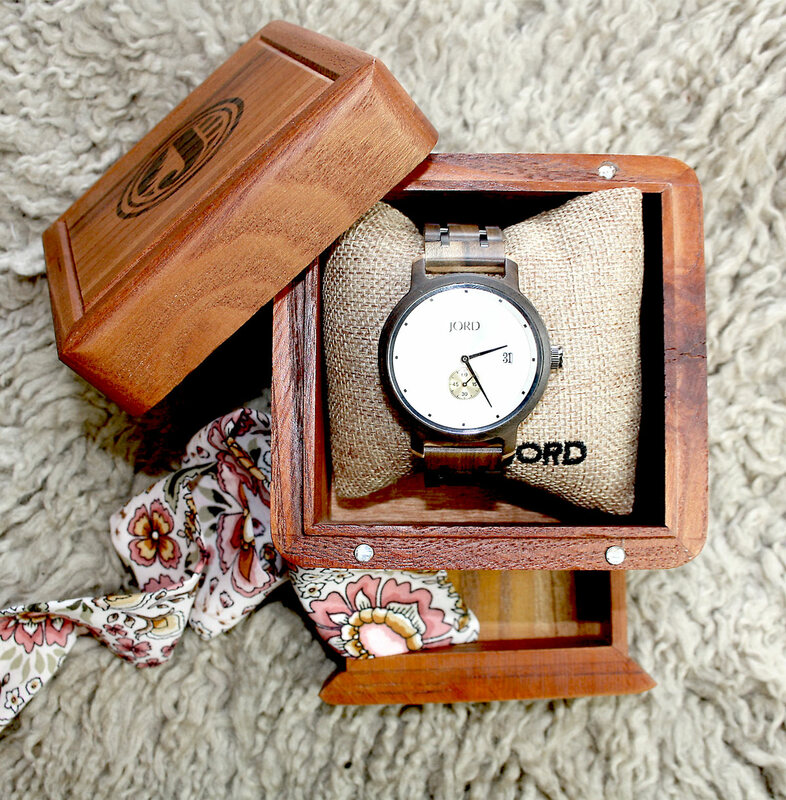 The watch is impressively packaged in a beautiful wooden box, which looks like a gift in itself. The intoxicating scent of the beautifully crafted sandalwood completes the feeling of earthy luxury and guarantees that you are most certainly handing over a unique and memorable gift this Valentine’s Day.